All looks are exclusively from Rag & Bone! 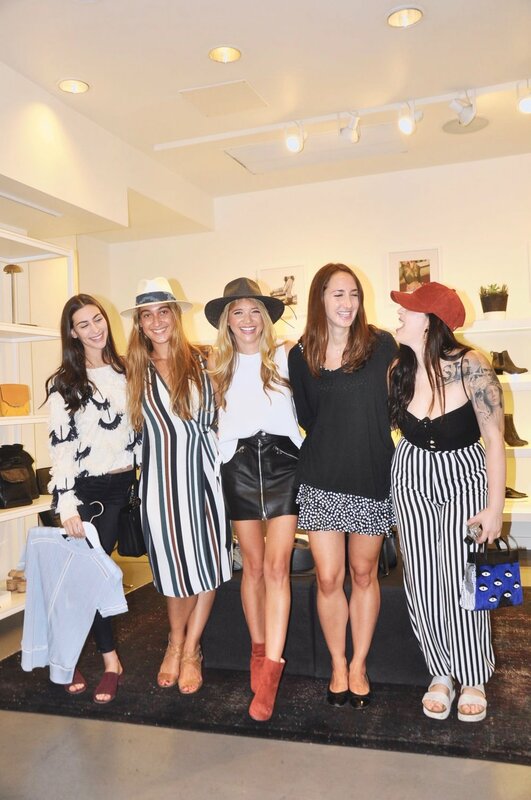 I had the best time hosting a shopping party at Rag & Bone last week! 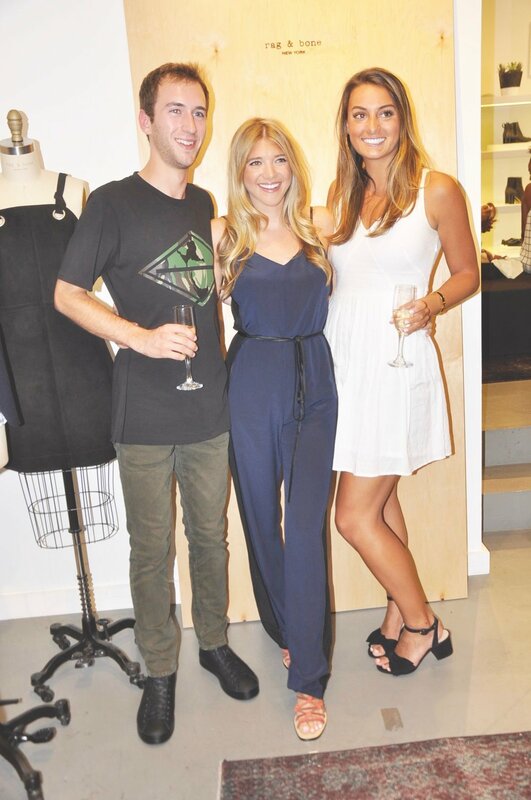 It was my first time hosting a styling event, and I couldn’t have loved the experience more! Do you guys think I should do more styling events? Or personal styling? Personal styling has always been something I have thought about, so let me know!!! The best part of the event was meeting so many new people! Having a blog, or a public Instagram has so many positive benefits, but the downfall is that I don’t get to speak or see a lot of my “insta-friends” in person! I am always interested in doing meet-ups with whoever is interested in person! Now onto my looks for the night…. I wanted to rock my two favorite Rag & Bone pre-fall transition looks. I started with a full moto chic looks, pairing it with the packable fedora. The fedora keeps the look cool and summery while the leather accents bring out the fall excitement! I then changed into a dresser navy jumpsuit which I was completely obsessed with! 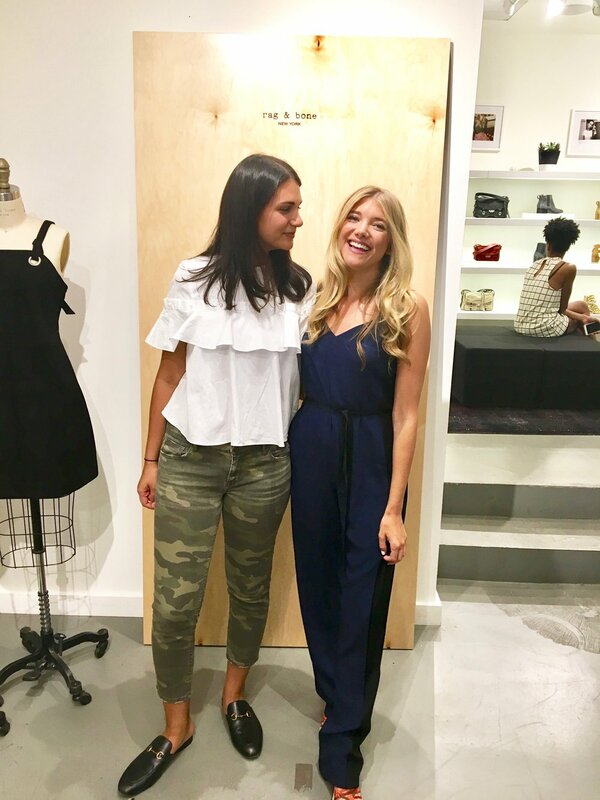 Not only is the jumpsuit extremely flattering in the cut, it is also extremely lightweight, and easy to dress up or down! I feel so incredibly lucky to have had the opportunity to work with one of my all time favorite brands! Everyone at Rag & Bone could not be more helpful to collaborate with for the event, and I look forward to many more collaborations in the future!